Due to ongoing crisis in Anuradhapura Bhikku University, the authorities have decided to close indefinitely from February 11 evening. The reason for this crisis was that the authorities have suspended nine monks for attending lectures and proscribed the student ship of one of the student monks in the university. Head of the Sri Lanka Bhikku university, Anuradhapura Venerable Professor Thumbulle Seelakkanda Thero says that the inter university students federation is behind the present student agitation of the university. It has been pointed out that several Bhikku students of the university are engaged in efforts to destabilize administration of the university. The Venerable Thero participating in a discussion programme of the national radio today said that disciplinary action has been taken against such students with the objective of bringing them into the correct path. 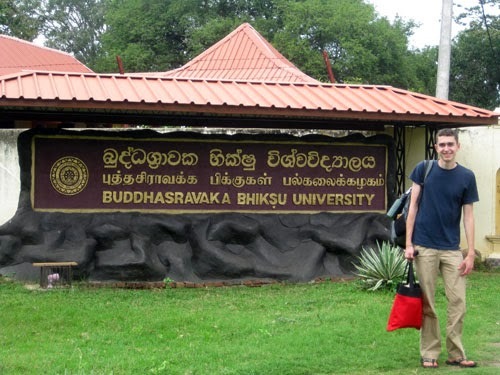 The studentship one Bhikku student was suspended according to the decision of the university board of administration. The residential facilities of nine other Bhikku students were also suspended.